TEA BENEFIT Black tea can prove effective in balancing the hormone levels in the body, in turn keeping stress at bay. The tea helps the body fight bacteria and strengthens the immune system as well. The tea is rich in anti-inflammatory properties and proves to be beneficial for those suffering from arthritis. DESCRIPTION These are the teas used to make the ready cup or Chai. 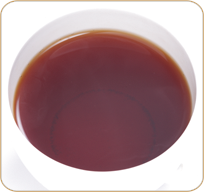 There is a wide variation in quality and only the best give a balanced and flavorful tea. This particular variant being one of the best suited to make Masala tea. Take one heaped teaspoon per 200 ml of freshly boiled water. Use a tea pot or a carafe. Pour water onto the tea, or boil along with the tea. Cover and brew for at least 3 to 4 minutes. Adjust brewing time with strength and taste desired. Rinse pot after wards with hot water only. Do not use soap. Add milk and sugar as per taste.